Even more Cod than last weekend. More of what you want. 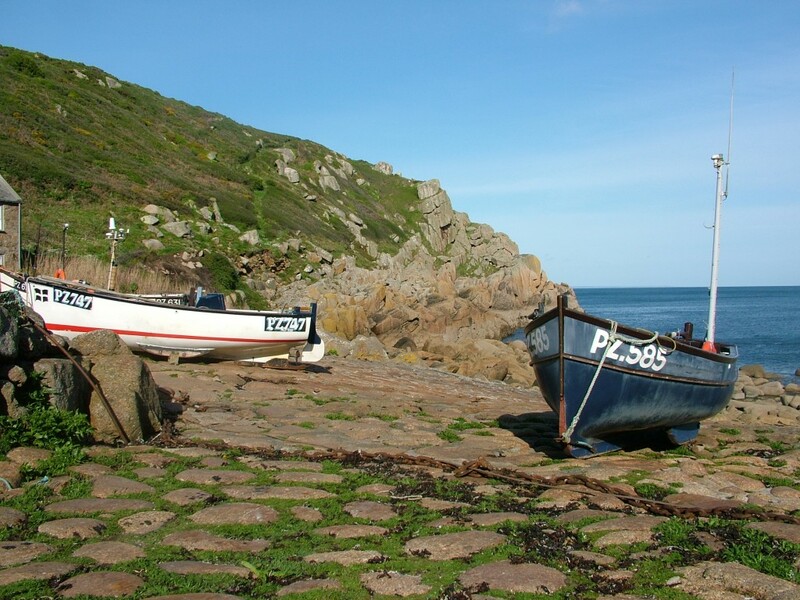 If your looking for an easy introduction to fishing the Cornish coastline and fancy trying a rock mark instead of fishing the harbour and beaches Penberth cove is well worth a try. 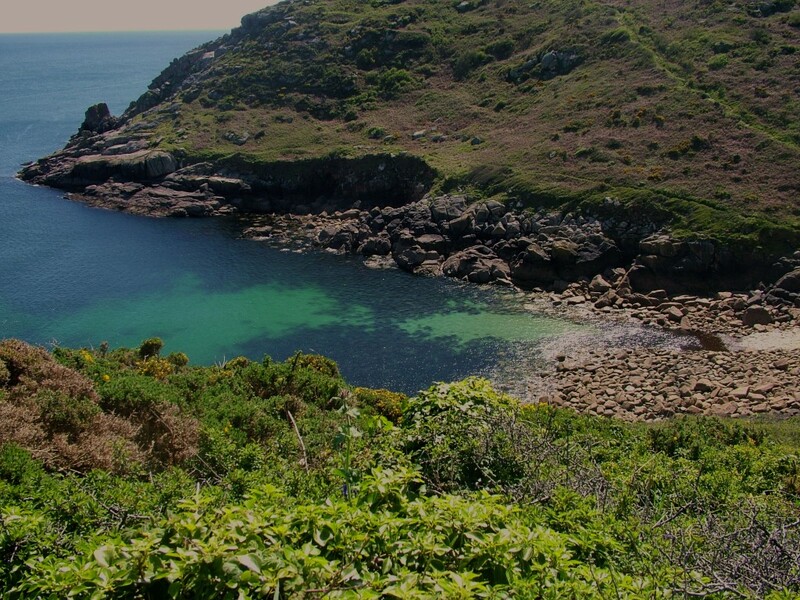 When coming from the St Buryan side of Penberth it’s a very sharp left hand turn on the hill but you can if you prefer just go a little further and turn round in the junction leading to Logan Rock. 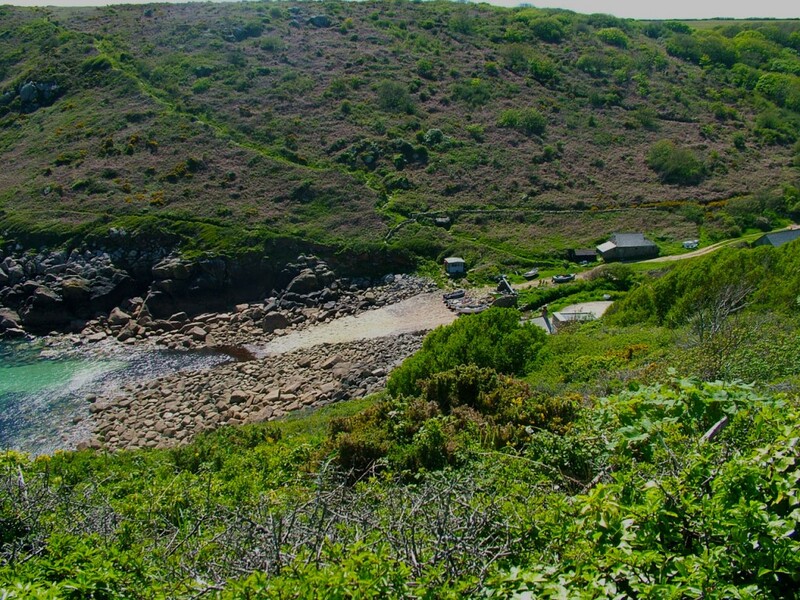 There is a pub, cafe, campsite, large cheap car park and public toilets here should you fancy a drink or food before going down to the cove. 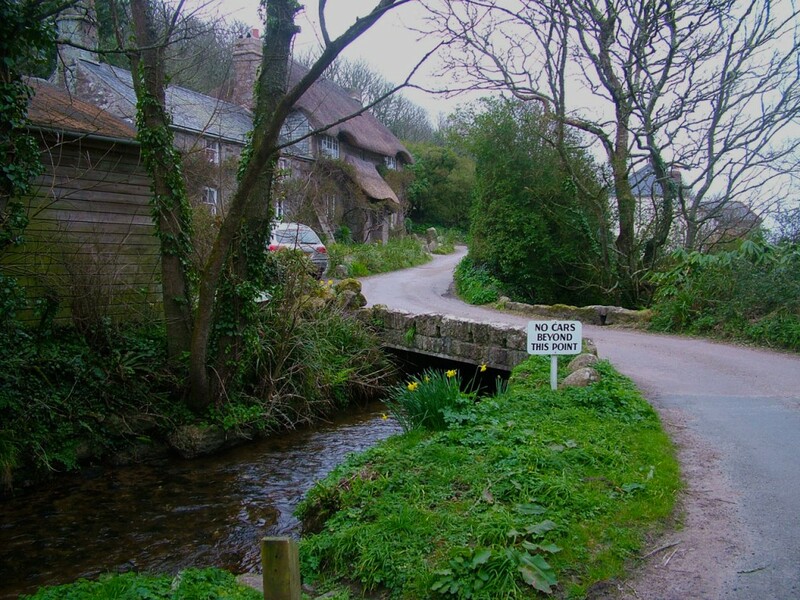 Parking for the cove is limited with maybe room for a dozen cars on the roadside about 150 yards at most from the cove itself, no cars allowed beyond the small bridge over the stream, if the stream water is clear you might well see some small trout lurking under the overhanging vegetation. There are public toilets in the cove near the slipway should you need them and a bin for rubbish so no excuse for litter although some still do just leave all their rubbish on the rocks. Dogs are not allowed on the slip and fish landing areas but you can access the coast path to either side without going on these areas. There is good fishing on both sides of the cove but the right side is more popular, probably due to the easy access and nice ledges to fish from. Cross over the stream to the right and make your way up the coast path a few yards and just after a huge boulder on the right there’s a track that takes off to the left along the side of the cove. Just go over the chain and follow the track out and it’s quite obvious where to fish when you get out the front. If there’s too many people fishing the front marks there is a nice ledge about two thirds of the way out which is gets you right down to the water’s edge, be careful on this ledge if it’s wet as it is very slippery. This cove is almost south facing so avoid it if there’s any strong winds from that general direction as the swell can build pretty quick. What to target! Mostly heavy kelp and rock on this mark although if you fish from the higher mark facing eastwards you can hit the mixed ground further out. 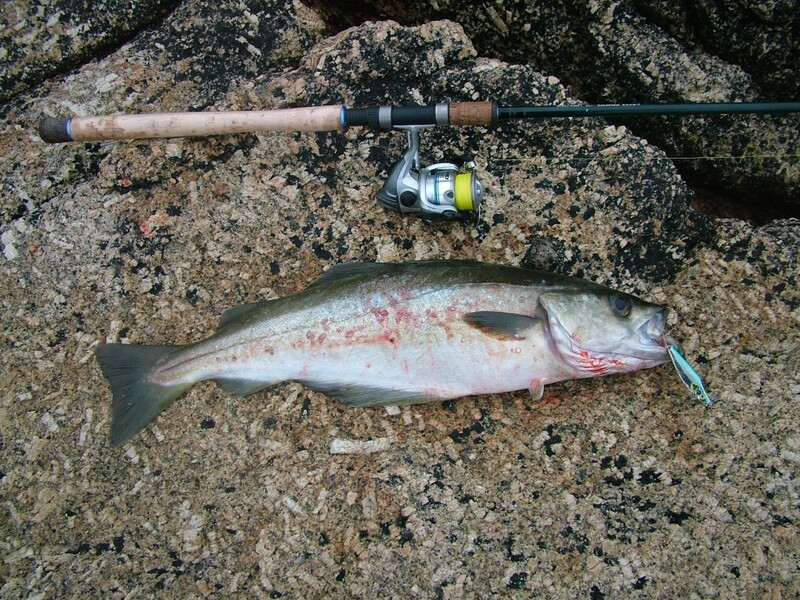 Shore rockling, 3 Bearded Rockling, Conger, Dogfish and the odd Bullhuss can be caught on fish, squid or large Sandeel using heavy gear and rotten bottom rigs. All these species can be caught during daylight, but fishing over high tide into the dark will obviously increase your chances. If you want to go light, it is worth taking a spinning or lure rod to float or lure fish for Mackerel, Garfish, Pollack and the odd Coalfish. Float fish with Sandeel, Mackerel or Squid strips. 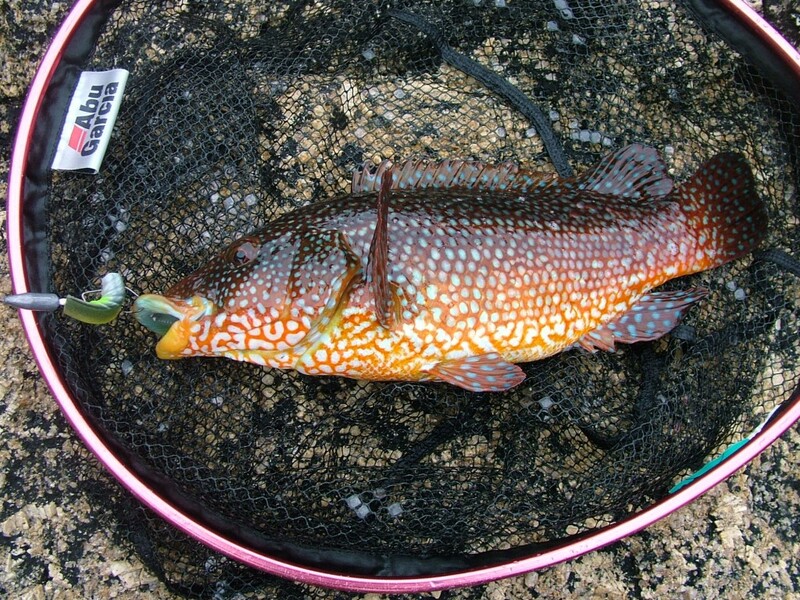 Worm and crab will usually pick up a few Ballan Wrasse and maybe the odd Cuckoo Wrasse. This mark can throw up some very nice fish from time to time. 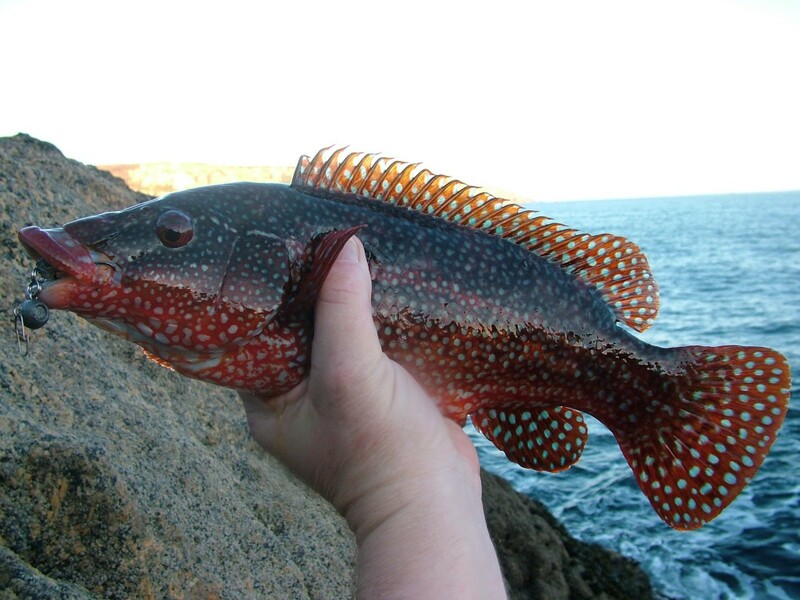 It is quite rare not to catch anything at all here, as there is usually small pollack and wrasse around most of the year. It can get very busy in the summer months and hard to park at this mark so if you like a bit of peace try an early session. There are plenty of nice little ledges and gulley’s on both sides of the cove for the more mobile lure anglers to explore. 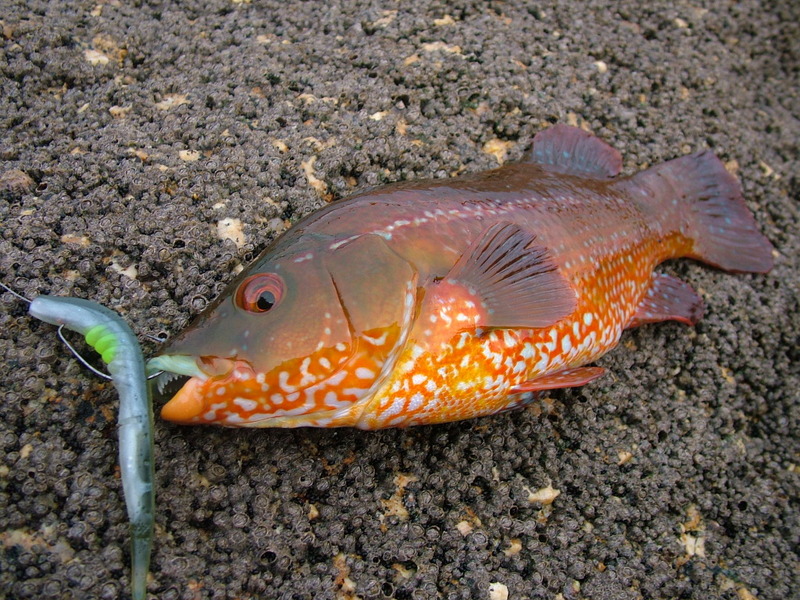 Fish soft plastics on texas rigs for wrasse. Savage Gear Sandeels and small wedges will take pollack. You can have some great fun using topwater lures to catch some very acrobatic pollack if the sea is reasonably calm. It is not a known Bass mark but they do turn up now and again.